The Secretary General and leader of the Gambia Democratic Congress (GDC) Hon. Mama Kandeh yesterday called of the press to further set light on the reasons for his party rejecting the 2017 Legislative elections held on the 6th of April, 2017. Addressing the press in from of his supporters and International Observer Mission in the Gambia, the GDC leader said ‘Already we have gathered a lot of information of what have transpired during the electoral process which we are not satisfy with but we will make it available to every Gambian and the whole world so that everybody will see what has happened during this last parliamentary elections. They have made mention of tribalism and I have my records throughout my tour and they are welcome at any time to come and listen to them if I have ever mentioned in LRR that the Fulas are behind GDC. If I will do that, is better I go to Fulladu were I have the majority of Fulas. On the issue of violating electoral act, the GDC leader said people are not talking about President Adama Barrow who went on a nationwide tour and knowing that he is not part of any political party but he was campaigning for a political party calling themselves coalition candidates. Mr. Kandeh went on to say ‘We wrote a petition to the IEC condemning anybody that was calling himself as a coalition candidate because nobody was nominated in a coalition ticket so the cheating and irregularities are openly done. We have copies of those letters and we also have copies of a press released by the IEC that there is no coalition candidates but the trend continued and nobody was there to stop them’ added Mama Kandeh. 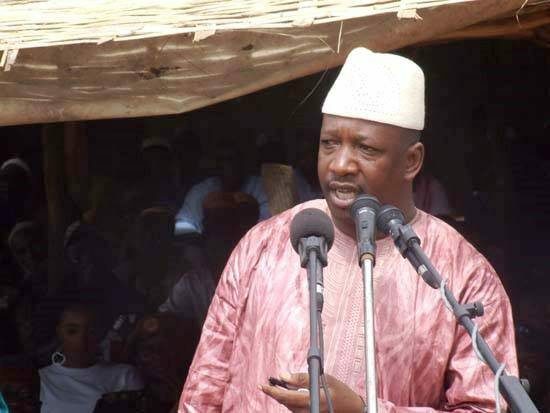 The GDC leader concluded by expressing his disaffection on the International Observer Mission in the Gambia who he accused of not capturing such irregularities in their report saying, I haven’t seen anything of that nature to the report provided by the International Election Observers.